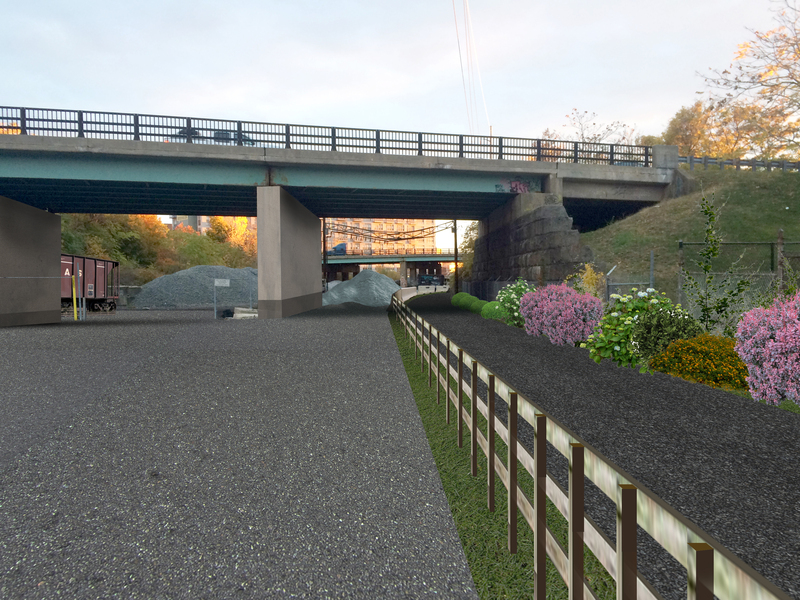 The City of Everett seeks to build upon the success of the northern sections of the Northern Strand Community Trail by continuing it to the Mystic River. The extension to the south will provide a connection for residents and commuters to Gateway Center, Encore Boston Harbor, and destinations across the river into Boston. A safe, comfortable path will allow Everett residents to choose to bike or walk, whether out of desire or need, and will provide another recreational resource. 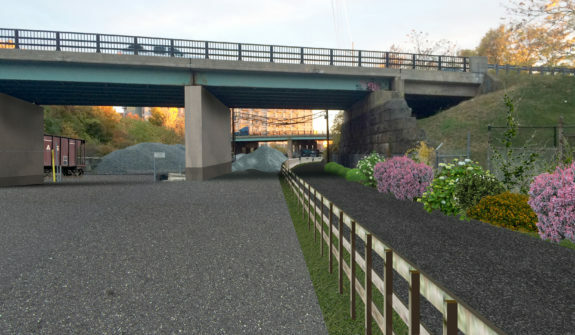 HSH has created a concept that addresses the physical and environmental challenges of completing a new section from the trail’s current terminus near downtown Everett to the Mystic River near the Encore Boston Harbor. The design will tie into the resort’s Riverwalk, the DCR Riverwalk along the Malden River adjacent to the Gateway Shopping center, and eventually to a pedestrian and bike bridge connecting across the Mystic River to Assembly Row. HSH will develop preliminary and final designs, which will include sections of boardwalk over resource areas, a culvert section under one bridge, and retaining walls along another bridge as they follow the old railroad alignment. As the trail passes under the two Revere Beach Parkway (Route 16) bridges, the right of way varies among MBTA, DCR, and private property. As the design progresses, HSH will coordinate with the MBTA and DCR.